Seas have risen; many people have died. Alvin Sputnik is our only hope. This wee survivor of extreme climate change must venture to the bottom of the ocean to save humanity. 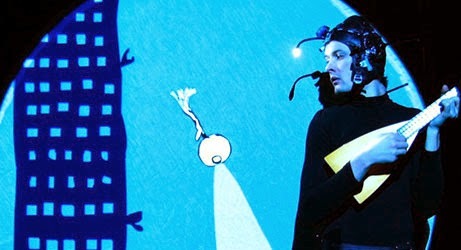 Using a beguiling blend of puppetry, animation, and music, this performance carries us along on Alvin's momentous undersea journey. This performance kicks off the 15th annual Stages, Sights & Sounds international children's theater festival, taking place May 6-24, 2014. This incredible annual extravaganza is part of Chicago's Humanities Festival. This multicultural feast has something for all ages and is a "Must See" theatre every spring. ChiIL Mama will be there... will you? Tickets are on sale now. Get yours early as shows do frequently sell out! Check back with us early and often for more of our top picks for all ages, video features and reviews. Click here for the full schedule and make your plans. Highly recommended.